After a small hiatus, here it is, the newest review about the Vans Chima Pro. Plain, simple, good – thank you Vans for the test samples. Without a doubt, there are certain pros that make you think of a specific team edition shoe and an era of skateboarding. Just think of Arto Saari and the éS Accel during the Flip „Sorry“ era. 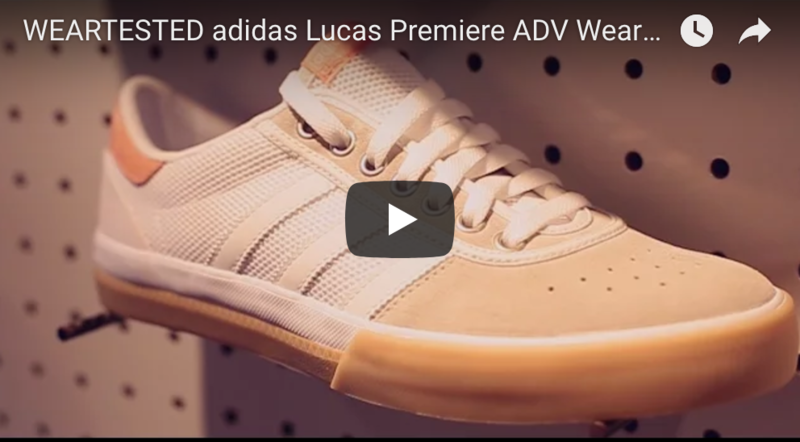 Or how about Leo Romero and the Emerica „Laced“ model? And don’t forget Brian Wenning and the DC „Lynx“. But when it comes down to creating a signature model that carries this spirit, things get tough: do we simply change 2 stitches and slap a guys name onto the shoe or attempt to persuade the rider to try something completely new? Chima Ferguson is one of those guys that took model-loyalty to new levels: seeing him without Vans Authentic in red, black or white canvas between his feet and board was rare. In fact it hardly ever happened. Still, Vans managed to create a pro model that resembles the Authentic silhouette, but possesses its very own style and look. Whether or not that means it functions well as a skate shoe is something that you will find out now. The Vans Chima Pro fits true to size. Simple one-piece toecaps have become the standard nowadays, mostly due to the fact that they increase a shoe’s durability. Vans took this a step further by adding a soft synthetic layer between the toecap’s upper- and inner material which they termed „Duracap“.It increases the durability and ensures that Chima Ferguson’s favorite fabric, canvas, doesn´t live up to its notorious reputation for durability. The “Duracap” also improves the stability and shape of the toecap. The canvas sidewalls in this test frayed pretty fast. However, thanks to the extended toecap this was not too much of a problem. The sole itself held up very well and proved to be quite durable. 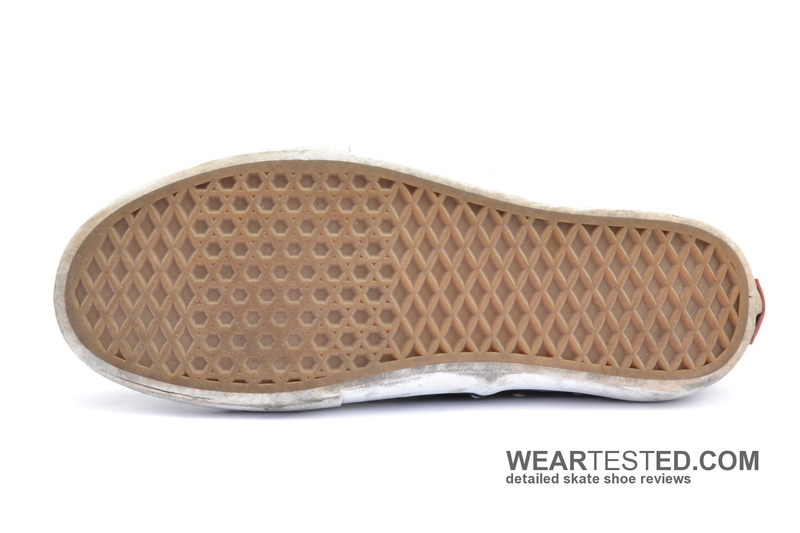 The thick extra layer in the front-foot area improves durability quite a lot, even if you are a kickflip-lover. The deep pattern of the sole is another big advantage; even with new griptape, no blown out spots were visible, ensuring the shoe’s long lasting grip. The Chima Pro established a rather well balanced compromise between board feel and cushioning. Jumping down big stair sets might not be the best idea in these, but thanks to the new „Ultracush Lite“ insole the heel area offers adequate cushioning. 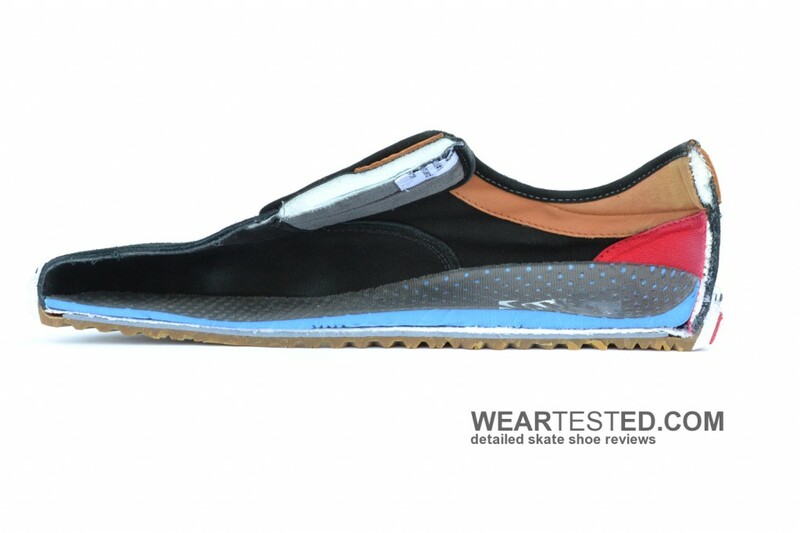 However, as you can see in the cross-section, the insole lost most of its thickness and therefore cushioning after 10h of skating gradually decreased. The Chima Pro sports a low silhouette, just like the Vans Authentic. The model is a lot more supportive and stable though. The toecap is not as pointy as one would expect. The wide outer sole and the grippy gum sole ensure a really good flick. The thin construction of the sole provides great boardfeel and flexibility; it almost feels like you can actually „grab“ your board. This flexibility increases grip as well and so the Chima Pro is comparable to most Vans models. It feels exactly like you would expect with a vulcanized model, and even provides great durability, thanks to its deep threading. The Chima Pro shines from the very first moment: its lighter than most other Vans models and the weight is hardly noticeable on your feet. 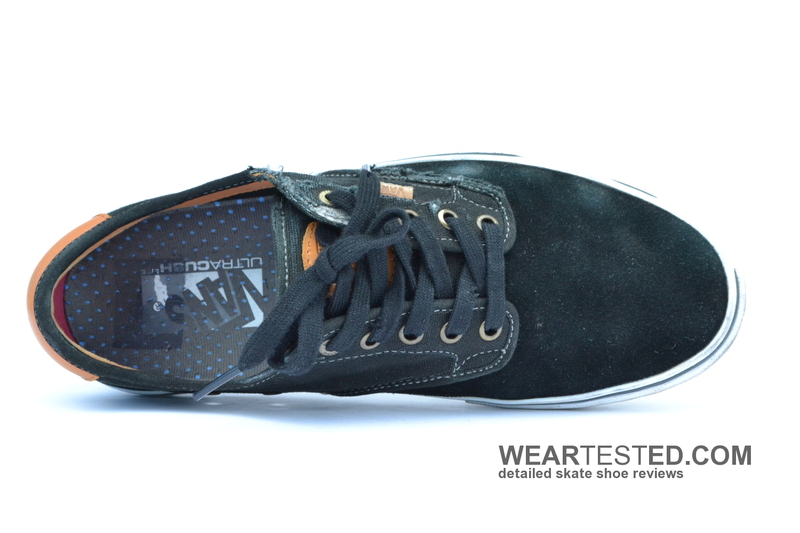 The front-foot-area is a little wider than usual, but thanks to its low silhouette the shoe still fits snug and nice. This, however, cannot be said for the heel area. It is a bit too wide, even the suede inner lining could not fully make up for the extra space. Moreover, the inner material of the shoe was quite rough and rubbed the foot uncomfortably when skating. A positive attribute of the canvas material is that it kept its shape and hardly widened through the test, which means that its initial stability stayed the same. 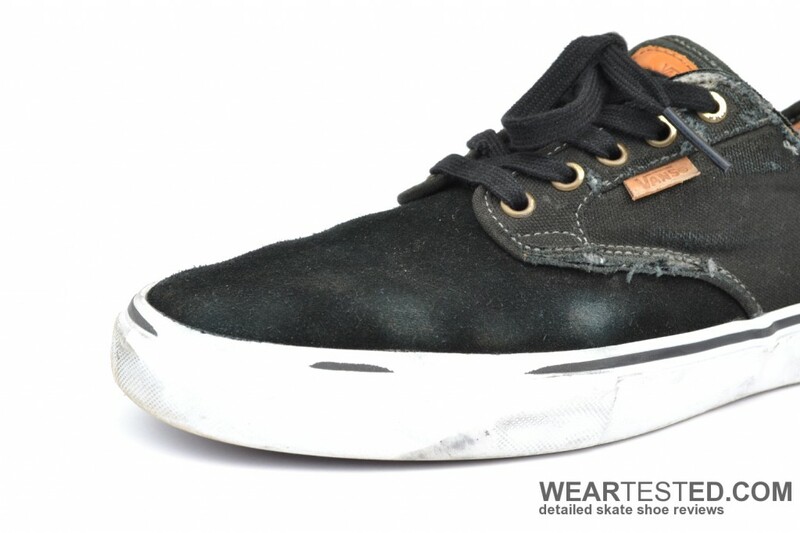 The Chima Pro is a durable vulcanized shoe with a low profile, which excels in terms of boardfeel and grip. Small flaws regarding cushioning and comfort are equalized by the shoe’s weightlessness and the great Duracap toe piece.